This is a great print! 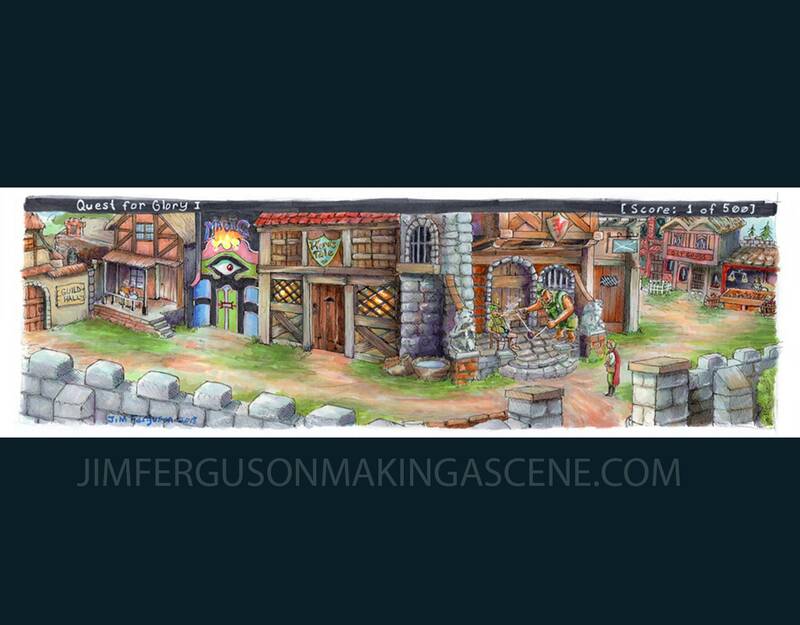 Quest for Glory is one of my all time favorite games and Jim did a wonderful job recreating the town of Spielburg in an awesome panoramic view. If you are/were a fan of the series (or fun art) you should get this for your wall! P.S. The matte and frame were added by me. Amazing print! Love the Quest for Glory series and the colors in this piece are beautiful!